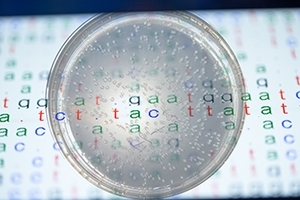 Genome sequencing has revolutionized genetics. It also requires new mathematical tools to help life scientists make sense of enormous amounts of data. Applying new math, Kristina Crona, an American University assistant professor who researches in the area of mathematical biology, and her colleagues show how ranking pathogen mutants can help scientists understand how mutants evolve to resist drug treatments. This line of research could have implications for the treatment of diseases that can resist drug treatments, such as HIV and malaria. In a paper published in the journal eLife, the researchers show that rank order is one way to identify complex genetic interactions. Conventional methods for identifying complex gene interactions rely on precise measurements of the genetic fitness of mutants. However, fitness measures are not easily applied, and they are not always reliable. By contrast, the rank order method works, even if the data is incomplete. Prior to the research publication in eLife, Crona presented the results at an academic conference. None of the biologists in the audience had heard of the mathematical tool she uses for analyzing rank orders. By the end of her talk, everyone understood how to use the tool for identifying complex gene interactions. The new shortcut was received with enthusiasm. And the math is easy. "It's kindergarten math," Crona explained. Crona uses "Dyck words," a formula named after the 19th-century German mathematician Walther Franz Anton von Dyck, to match up the genotype with letters. Letters "x" and "y" are assigned to the pathogen mutants. Single and triple mutants correspond to "x," and unmutated, double and four-tuple mutants correspond to "y." The odd number of mutations produce "x" and even numbers produce "y." The mutants in the order are ranked from high to low fitness. "From left to right, we count x's and y's. If there are always more x's, or the same numbers of mutants are x's, then what you get is a Dyck word. This means one can see that one is dealing with a complex gene interaction," Crona said. Complex genetic interactions involve three or more mutations in a pathogen. It is in complex genetic interactions when pathogens have higher fitness and evolve dangerously, such as a pathogen that's strong enough to resist antibiotics. The researchers identified complex gene interaction involving three or more mutations for HIV; a malaria-causing parasite; the type of fungus that causes black mold on fruits and vegetables; and a family of genetic mutations that contribute to antibiotic resistance. Crona began thinking about rank orders while working with biologist Miriam Barlow on the problem of antibiotic cycling, by which hospital doctors rotate different antibiotics to thwart patient infections. Trying to help doctors maximize antibiotics' effectiveness, the team created software called "Time Machine" that uses probabilities and rewinds the evolution of bacteria to verify treatment options for 15 antibiotics used to fight common infections. Crona noticed that rank orders were surprisingly robust. The numbers came out a bit differently in every experiment, but the most dangerous mutants were always dangerous, and harmless always harmless. Could rank order help doctors? Crona thinks so. In medicine in the future, doctors may be able to take advantage of complex gene interactions when they develop treatment plans. Rank order can help with cutting off the chain of events in the evolution of a dangerous pathogen. Preventing lesser, intermediate mutants could stop a pathogen's evolution, Crona said.